Motivation will always beat talent. Children naturally want to be physically active and on the move. Their bodies tell them what they need, but unfortunately, they are not always able to get active. Being active on a daily basis allows children and teenagers to become fit and healthy so that they feel good and can also call upon their energy reserves for whatever they may need it for. Children need at the very least an hour a day of moderate exercise which leaves them breathless. This won’t come from walking at an everyday pace, but can be provided through a 60 minute dance class. Dance creates energy which keeps children alert and engaged! Dance can help moderate stress! Dance helps to improve short/long term memory! 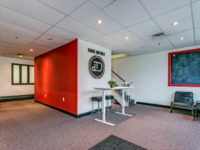 Our newly renovated space is located on the North East corner of Fourth Line and North Service Road. 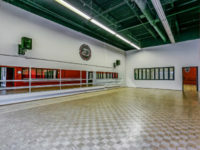 Our facility offers three naturally lit, spacious, climate controlled dance studios. 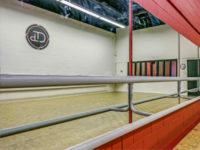 Each studio contains, full length mirrors, professionally sprung hardwood flooring, and custom anchored ballet barres. We offer our dancers a private change room upstairs to store bags, shoes and snacks. Free WiFi is available to our dancers and observers. 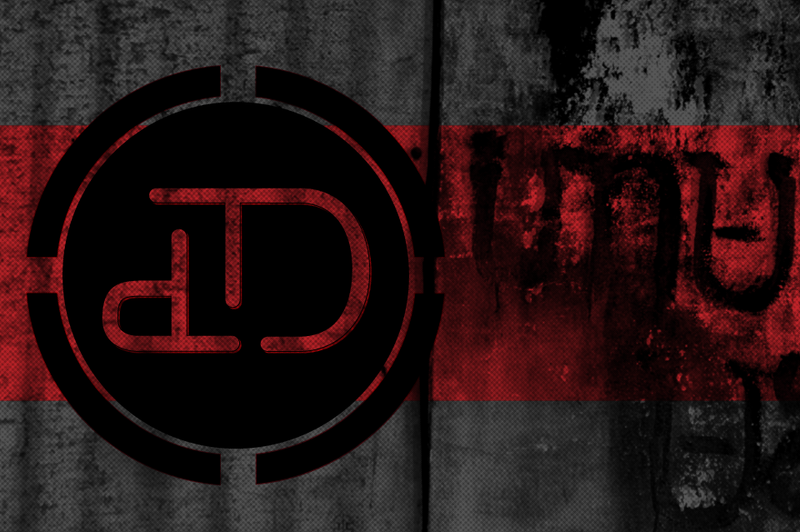 Dance District’s waiting area offers a friendly, open environment to promote conversation and teamwork. 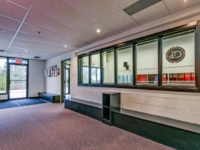 Our lobby offers parents a comfortable area that allows them to view their children’s progress and observe instruction. 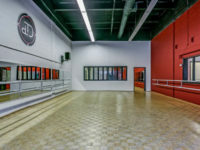 Our studio is conveniently located minutes away from shopping and amenities should you need to run an errand during your child’s dance class. 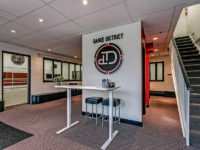 Dance District’s goal is to create a warm, collaborative environment that allows both our dancers and parents to feel welcome and comfortable. We want our dance home to be your children’s second home and a place where they feel safe, secure and able to express themselves freely. Competition season is what we work all year towards. Got what it takes? Enter the competitive classes to find out. 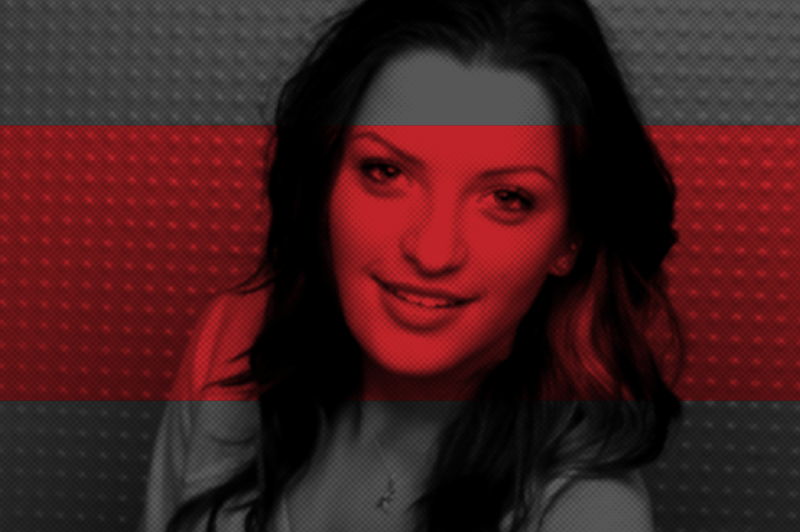 Born in Brampton Ontario, Kate began her dancing career at the early age of three. 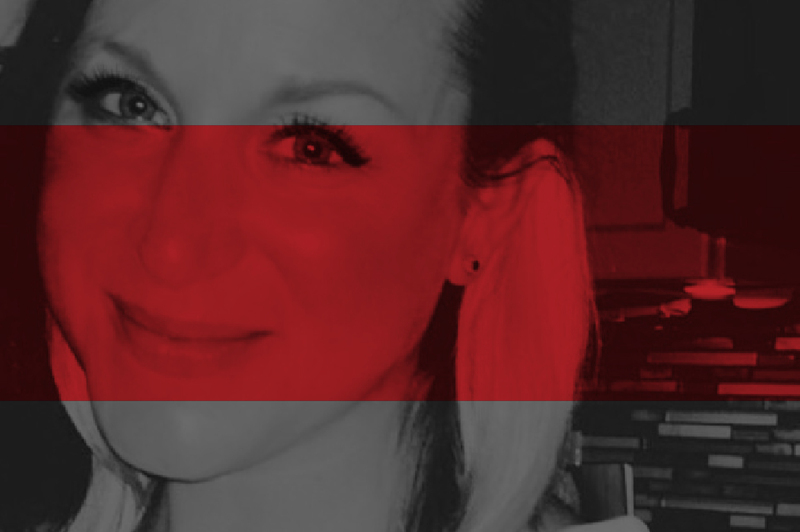 Kate is trained in Jazz, Tap, Contemporary, Arco, Hip Hop, Musical Theatre and Modern dance. Kate also has extensive training and exam work in three styles of Ballet including Cecchetti, Vaganova and RAD (Royal Academy of Dance). She is a graduate of Performing Dance Arts in Vaughan Ontario where she studied under many professional dancers and choreographers including Danny Poland, Ryan Foley and Michael Knight. Throughout her competitive career, Kate won many awards in various National Dance Competitions including Miss Onstage New York. After graduating from Mayfield Secondary School’s Dance Program, Kate pursued her studies in marketing and advertising. 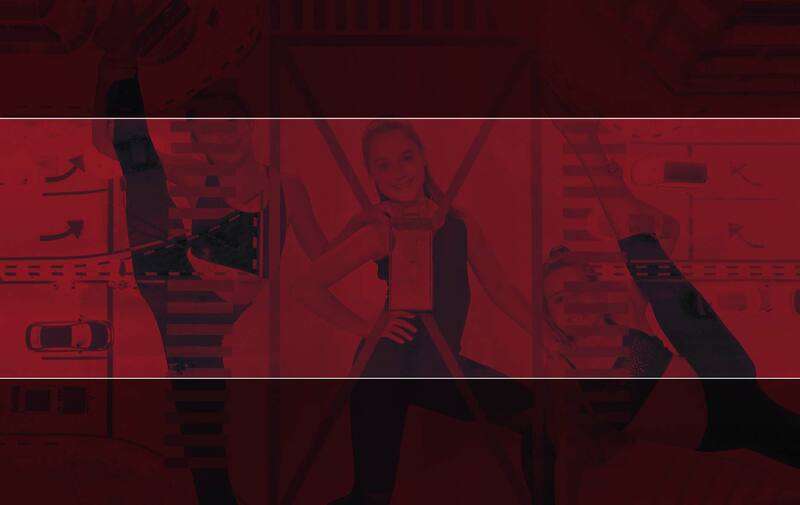 Kate has been all throughout Canada and the United States with the nationally renowned dance competition, Candance. 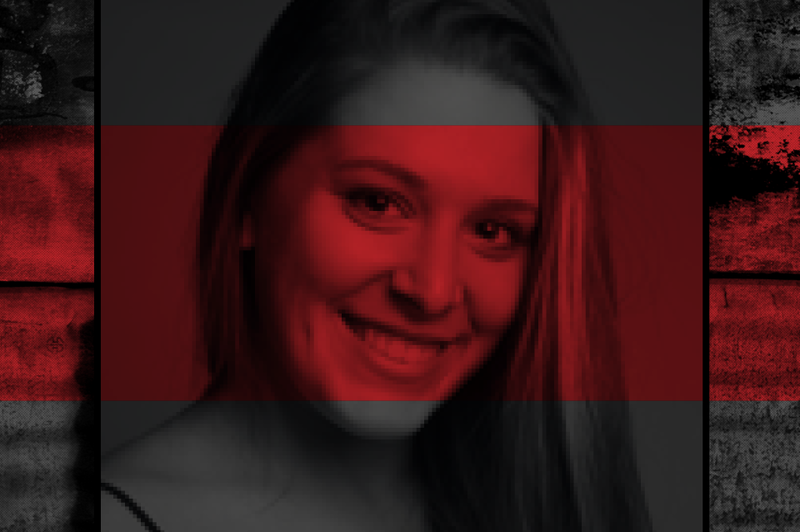 Kate has been a loyal Candance employee for a total of 5 seasons working multiple jobs from merchandise, backstage and most importantly tabulation. Over the past few years, Kate has shifted her focus and enthusiasm for dance to teaching and choreographing. 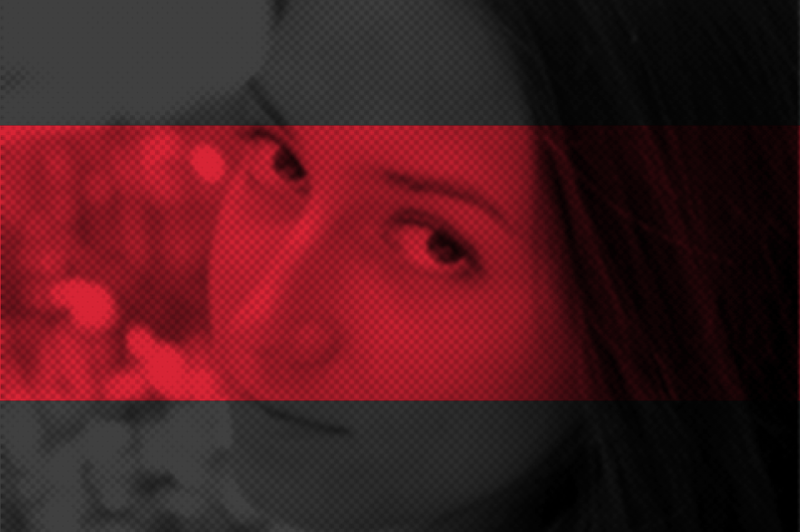 Kate has worked will all students from a recreational level to full time competitive. Kate has always known that dance was where she wanted to end up. This is the perfect time in her life to take the next step in her dance career and motivate students to live theirs. This couldn't be a better opportunity to do that. Becky grew up in Oakville and started dancing at the age of three. Dance has always been a passion of hers. Becky danced competitively throughout elementary and high school and went on to dance professionally at a variety of resorts in the Caribbean. When she returned to Oakville, Becky decided to pursue a career in business and successfully completed college majoring in Accounting. 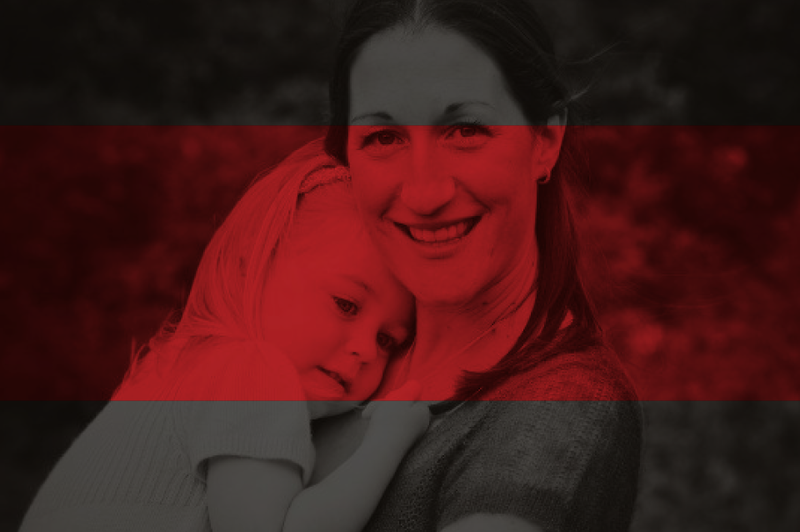 Becky is the mother of two daughters Molly and Tessa, and a stepmom to a son and a daughter, Jacob and Devon. After watching her daughters’ passion for dance grow, she realized she wanted to be a part of cultivating children’s love for dance. Becky’s combination of business skills along with her passion and lifelong involvement in dance has led her to open Dance District. Ashley has been teaching dance for seventeen years after graduating from Cardinal Carter Academy for the Arts and competing in dance competitions in North America as a student at Performing Dance Arts. He has worked as a guest choreography around North America. He enjoys preparing his students to enter local and national competitions where they have won many awards for overall performance and Ashley for choreography. Ashley was also the owner of two successful dance competitions that he took great pride in. Both competitions focused on building the dance community that celebrate dance and its dancers. He continues to work with dance competitions to celebrate Canadian dancers. Born and raised in Ancaster Ontario, Bianca began dancing at the young age of four years old. After many years of training she has developed an understanding and appreciation for the arts, which has diversified both her technique and movement. She has trained in ballet, contemporary, tap, and urban dance styles. On top of her training Bianca had the opportunity of working with Point of View Dance Project (POV) and Nostos Collective on multiple projects within the last couple of years. In March 2016, Bianca made her choreographic and artistic directing debut in Echo Dance Company’s first production “Breaking Formality”. Most recently she has had the privilege to continue her professional training with dance educators John Ottmann, Julia Sasso and Carol Anderson. 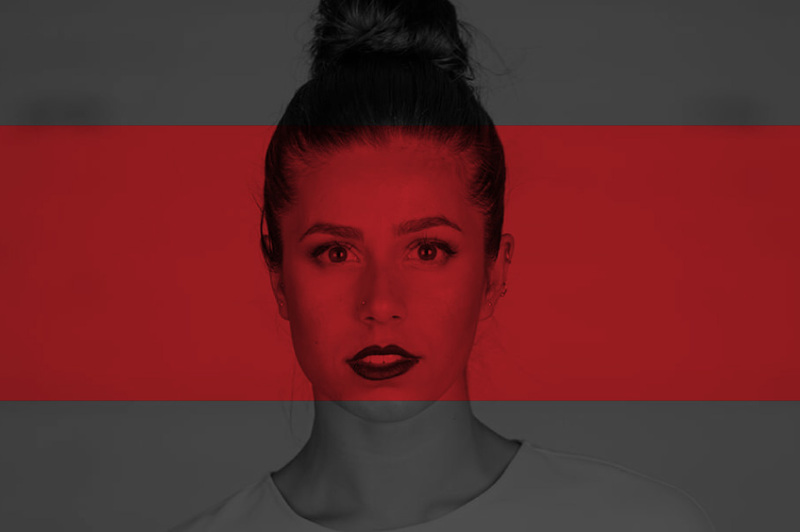 Bianca continues to pursue her edification at York University with a Bachelor Of Fine Arts (Honours) specializing in Choreography and Performance in the AMPD program. Anna Rybalko was borth in Ukraine where she was introduced to various dance styles, such as: ballet, folk dance, ballroom and the sport of rhythmic gymnastics. However, it was in Canada that Anna fell in love with classical ballet and persuaded her parents to enroll her into the full time professional program at Victoria Ballet Academy at the age of 11. As she continued her studies, Anna was given the opportunity to teach the pre­school ballet and creative movement classes under the guidance of her own ballet teacher. Since the age of 15, teaching has gradually became a permanent part of life, teaching students from 2.5 years of age to adults. Upon graduation from Victoria Ballet Academy with the “Artiste of Ballet Diploma”, Anna decided to further pursue her teaching career through her post­secondary studies; enlarging her pedagogical and choreographic knowledge. Recently, Anna graduated from the Teacher Training program at Canada’s National Ballet school with the Registered Teacher Status with RAD (Royal Academy of dance), and will complete her Bachelors of Fine Arts at York University in dance education and dance science. In addition to teaching, Anna performs with Toronto Dance Life Company, an entertainment company who specialize in a fusion of jazz, contemporary and ballroom dance styles. From her own performing career, Anna knows that classical ballet is one of the best ways to train and condition the body for all dance styles, and to this day, ballet is her passion. Melanie has been teaching dance to students of all ages and levels for 25 years! She began her dance training at the age of 3 and a half and has been trained in all forms of dance, Ballet, Tap, Jazz, Modern/Contemporary, Pointe and Hip Hop. She trained at the Randolph School of the Arts as an original student in their 3 year “Triple Threat” program. She trained under the very best choreographers/teachers in the Toronto Community of dance, as well as taking classes and workshops in Los Angeles. As a professional dancer/ choreographer she has choreographed and appeared in numerous music videos, industrials, television specials, movies and commercials (“Blues Brothers 2000 and Campbell’s Chunky Soup to name a few). She was an original member of the Toronto Raptors Dance Pak for 5 years and ran the Jr. Dance Pak as one of the Directors/ Choreographers. Dancing for the Raptors sent her to the NBA All Star Game in Cleveland and on television specials that aired across the U.S. She also danced for the Argos as a Toronto Argonauts SUNdancer. Melanie was the Choreographer for the Arena Football team called the Toronto Phantoms. She choreographed the “Phantasy Girls” for the two years the team was in Toronto. Melanie also choreographed the opening segment for ABC Monday Night Football with Hank Williams Jr. that aired every Monday night across North America.! Melanie is the VERY Proud Founder/Director of the Dance 4Life program with the 4Life Foundation. This program gives children in need weekly Hip Hop lessons with NO charge to the families. This program runs in Halton with the kids from Big Brothers Big Sisters of Halton and Peel as well as the ROCK Foundation.! Melanie is extremely excited to be part of the faculty at the Dance District and is looking forward to share her love of dance with all of her students. Moving forward from her competitive career, Nicole continued her training and studies at the School of Performance at Ryerson University in Toronto, ON, under the direction of Vicki St.Denys. During her time at Ryerson she trained with many brilliant teachers such as Vicki St. Denys, Tanya Evidente, Karen Duplisea, Kenny Pearl, Louis Louberge-Coté, Arsenio, Robert Glumbeck, Kenny Pearl, Lourdes Hernandes, and Lauren Cook. Nicole also had the privilege of working with choreographers such as, James Kudelka, Canadian choreographer and former Artistic Director of the National Ballet of Canada, as well as William Yong, Artistic Director of Zata Omm. Nicole has currently graduated with her Bachelor of Fine Arts in Performance Dance and has been performing in the concert and commercial dance industry. She loves to share her passion of dance through choreographing and teaching. She has choreographed in Toronto and Ottawa, and continues to teach at dance studios in the GTA. Emily started dancing at the early age of three studying primarily ballet. After years of doing so, she became aware that there was a whole other world of dance to discover and began a recreational tap class. After her first class, her teacher suggested a move into competitive, where it became her passion and she excelled until the age of 19. Emily danced with a studio in Oakville, where she also began teaching recreational classes. 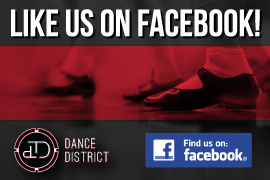 She has continued her work with youth throughout the years and is very excited to get back into this recreational program with Dance District. Emily is thrilled to come full circle with her dance roots in Oakville and considers it an honour to be a part of such an exciting new studio. Andrew started dancing at the age of five and it has become his passion ever since. Finishing his Regional Arts Program Certificate at Cawthra Park Secondary School where he had the opportunity to work with renowned choreographers Allen Kaeja, Darryl Tracy and Michael Trent. On his final year of competing, Andrew won Mr. Dance Canada and had been selected to be the “Face Of Fever” at Fever International Dance Championships in the 2012-2013 season. His professional career started as an apprentice in the Rutherford Movement Exchange’s first debut production entitled “Ascension,” under the artistic direction of Stephanie Rutherford. Working with such passionate and talented dancers in Toronto and abroad Andrew was inspired him to broaden his horizons. Some Televised opportunities Andrew has had the chance to work on would be The Next Step, Backstage, Reign, The 2015 CCMA Awards comedy segment, The 2015 Pan American Games closing ceremony and The 2015 Para Pan American Games opening ceremony. 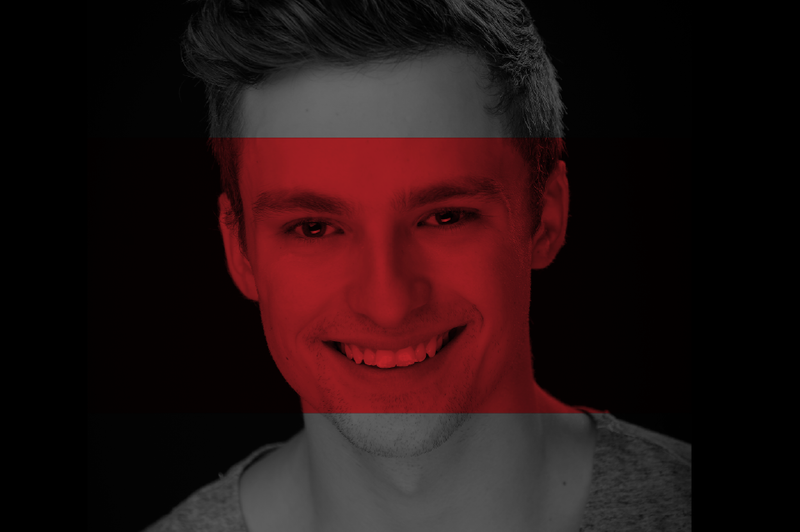 Andrew has had the opportunity to dance in Stephanie Rutherford’s production “Ascension,” Vlad Novitski’s production of “Checkmate,” Ross Wirtanen and Tia Haraga’s “Marina Antoinette,” the 2014 Toronto Fringe Festival, and the 2016 Toronto Beaches Jazz festival. Most recently Andrew had the opportunity to dance for Blake McGrath at his I Am Blake McGrath Tour. A new goal for Andrew is to move his way into being a choreographer as well as a dancer. Some Choreography opportunity’s accomplished to date would be a opening number for the I Am Blake McGrath Tour, a piece for the Canadian Mental Health Association Conference 2018, and a opening number for a movie screening for “Paper Year.” One goal Andrew has had for some time was to become a drop in teacher in Toronto and he has met that goal by becoming faculty at The Underground Dance Centre as well as Millennium Dance Complex Toronto. Andrew continues to train, take class, and teach at competitive and drop in dance studios throughout Ontario. His passion, determination and hard work are what have pushed him this far in his career and he plans on continuing to pursue his dream for many years to come!